Maple syrup is simply one of nature’s wonders. What’s not to love about a natural product that satisfies your sweet tooth with a delicious, robust flavor? Maple syrup has long been used atop pancakes, but that is far from the only way to use this sweet syrup. 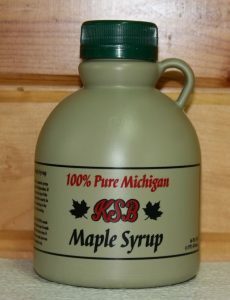 In fact, the list of things that you can add maple syrup to is nearly endless, but here are a few that you may want to consider. Oatmeal is widely respected as a healthy breakfast food, but its bland flavor turns off a lot of people. Drizzling maple syrup on top of a bowl of oatmeal will instantly transform your breakfast from bland to decadent. Bread pudding is a favorite treat that has been around for many years. Cook it with maple syrup, or cook as usual and drizzle maple syrup on top, for an extra special treat. Pumpkin soup is a fall classic. You can transform this soup from merely delicious to positively delightful by mixing in some maple syrup or maple sugar. Butternut squash is a tasty vegetable all by itself. You can easily take this vegetable from tasty to sumptuous by pouring a bit of maple syrup on top before baking. Fajitas are a tasty and easy dinner that can also be a healthy choice. You can put a unique twist on your next batch of chicken fajitas by adding in maple syrup and bourbon. Butter and salt may be the most popular way to season popcorn, but it is definitely not the only option. Drizzling maple syrup over the top of unseasoned, freshly popped popcorn will easily create a delicious snack. There are many ways to use maple syrup to sweeten or flavor your favorite foods or drinks, or to turn an otherwise boring food into something delightful. What are your favorite ways to use maple syrup? Let us know in the comments!